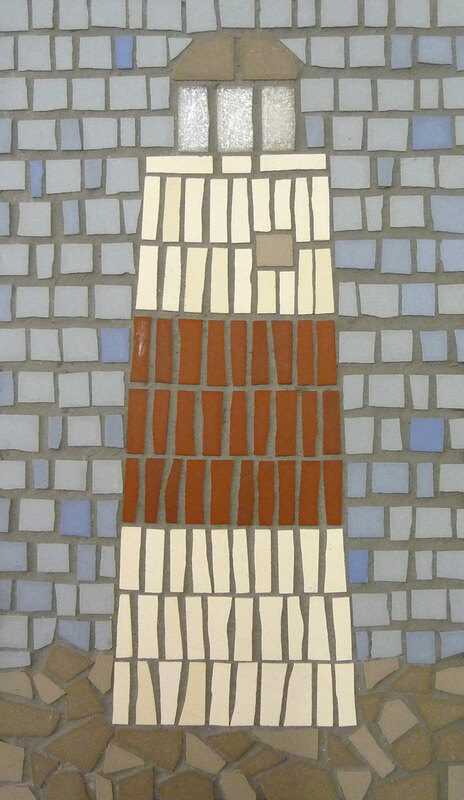 Edinburgh Mosaic Studio, Patriothall Studios, Hamilton Place, Stockbridge, Edinburgh, EH35AY. 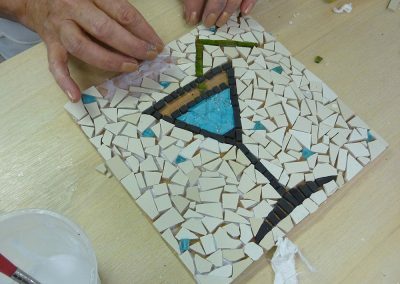 A weekend mosaic course introducing the basic cutting, laying and grouting techniques required to make a successful mosaic. 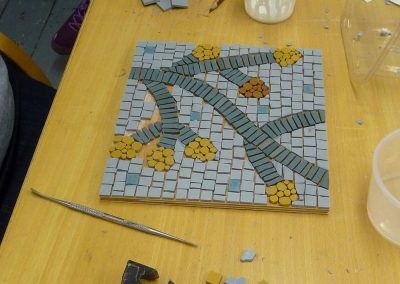 The course will focus on the direct method and students will be encouraged to develop both their practical and creative skills. 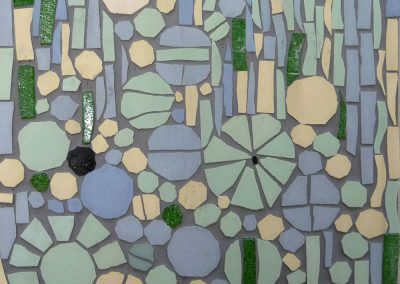 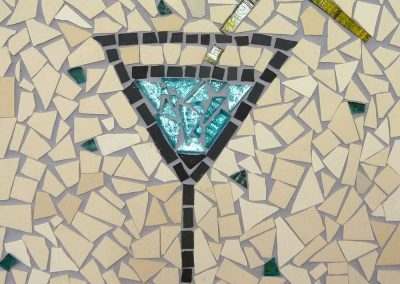 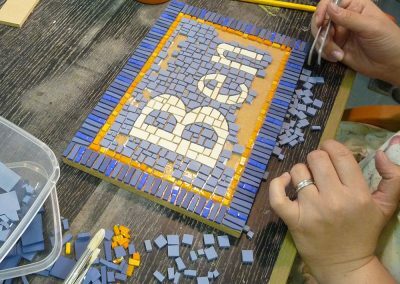 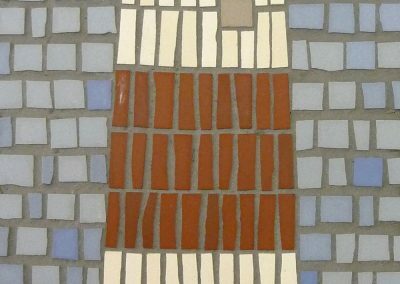 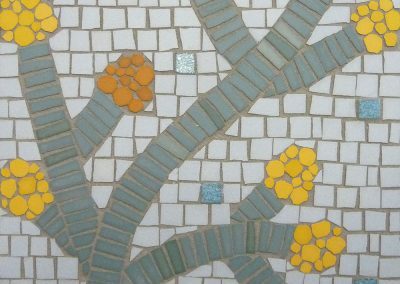 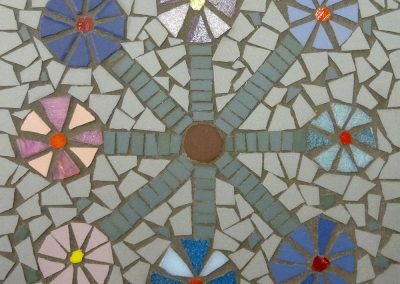 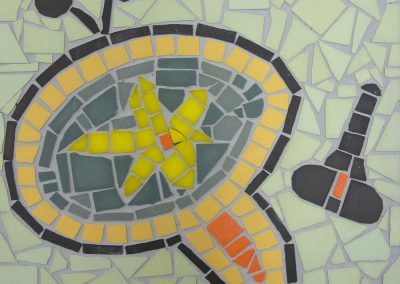 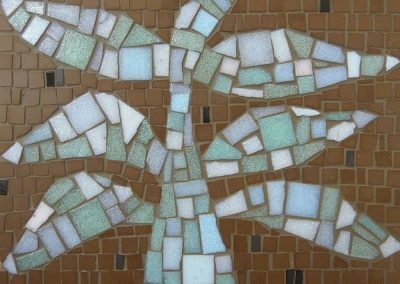 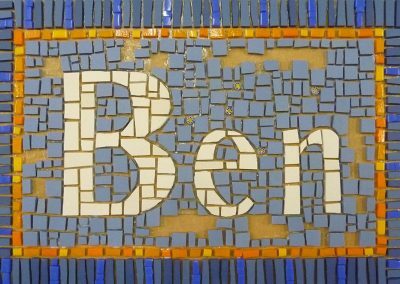 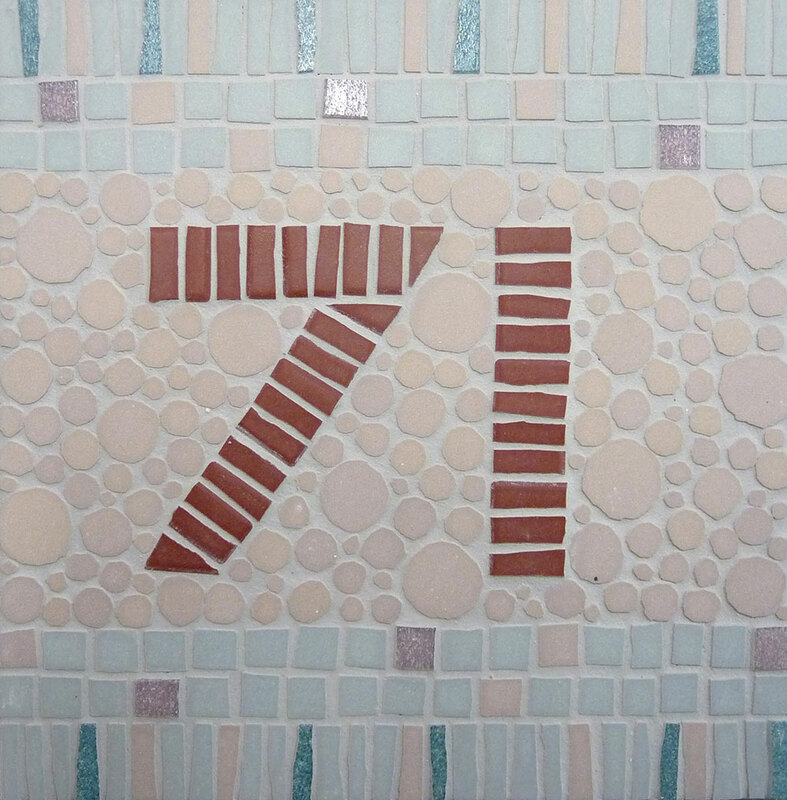 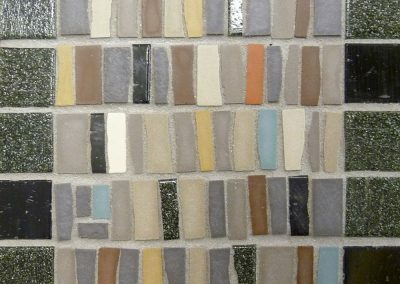 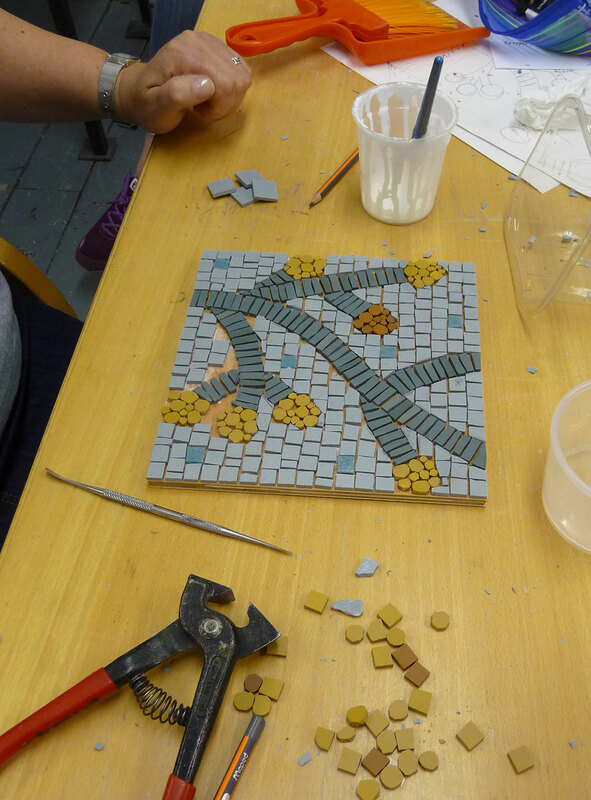 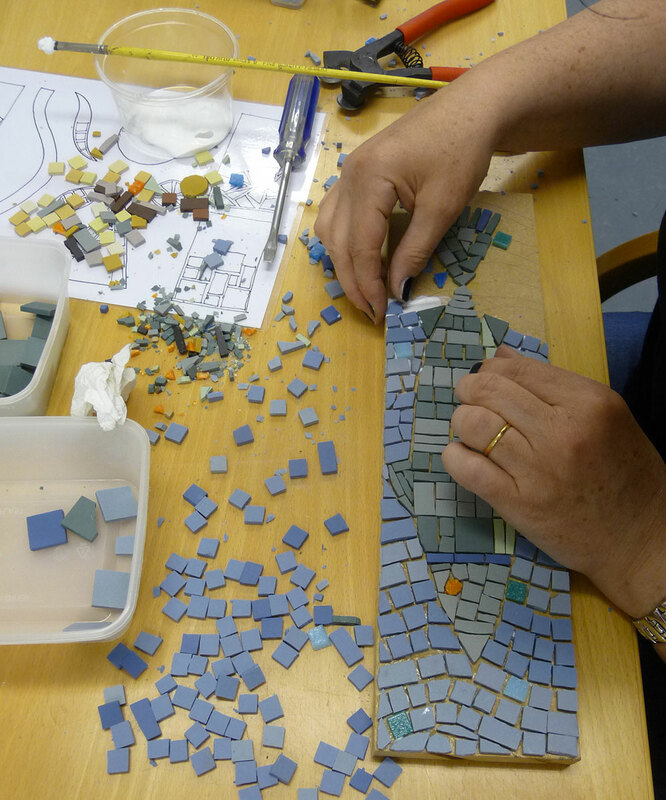 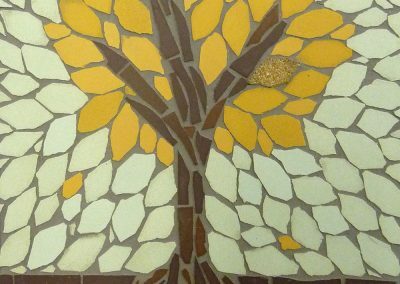 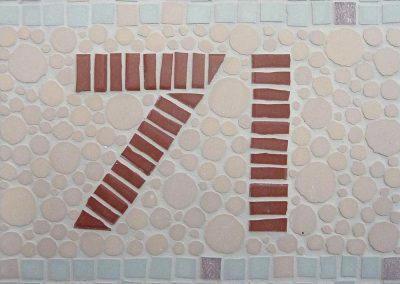 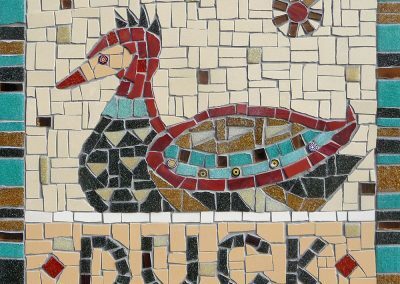 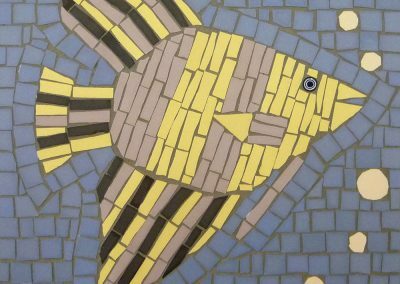 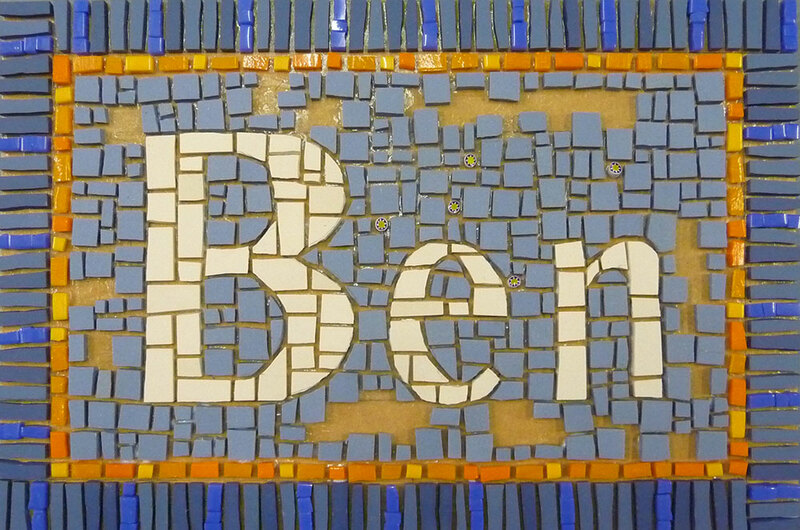 Students should leave the course having completed a number of samples / a small mosaic and gained a good grounding in basic mosaic making skills. 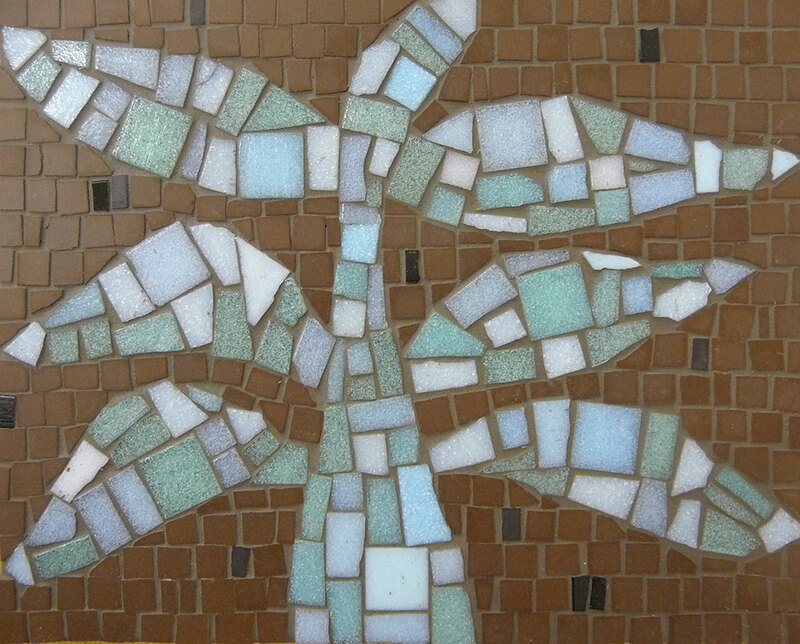 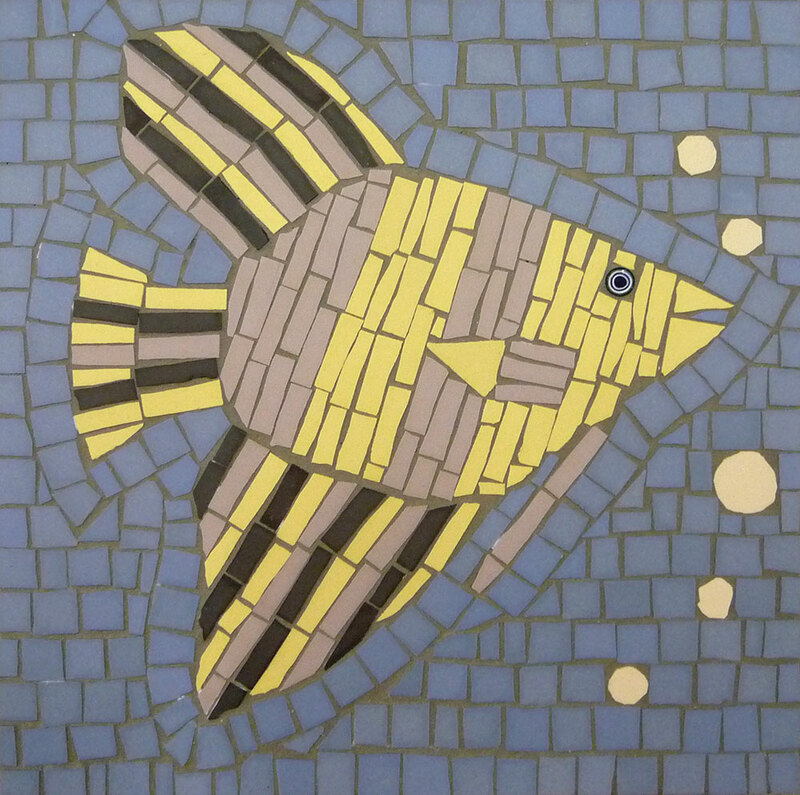 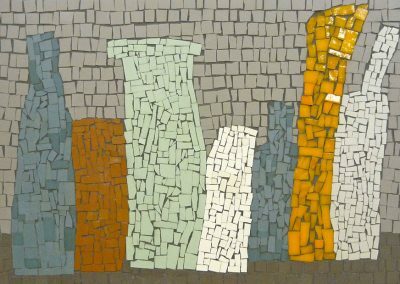 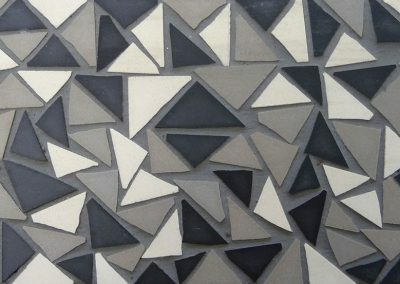 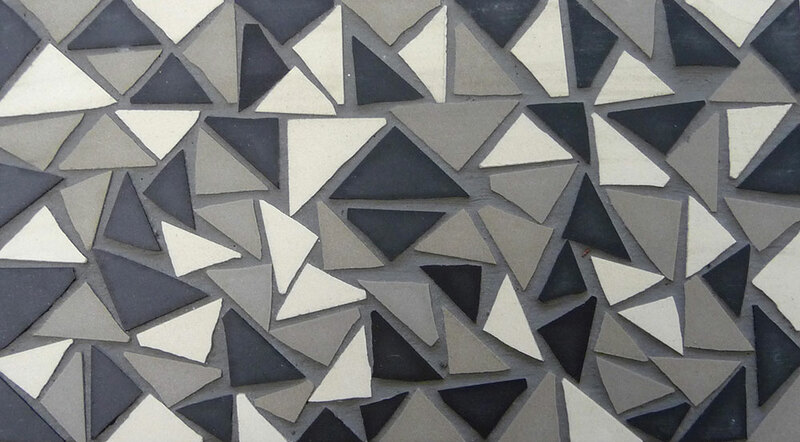 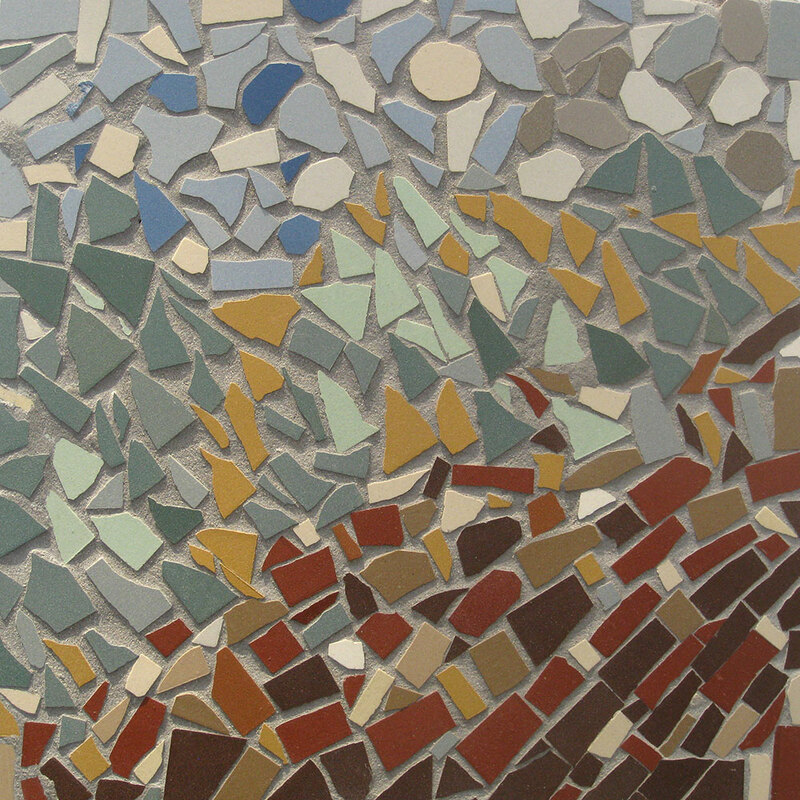 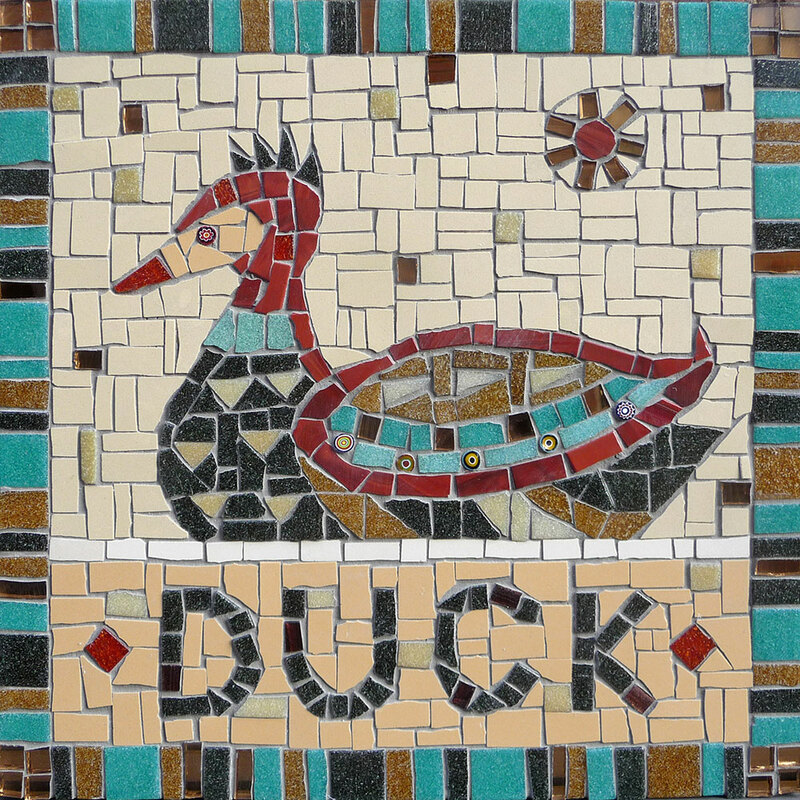 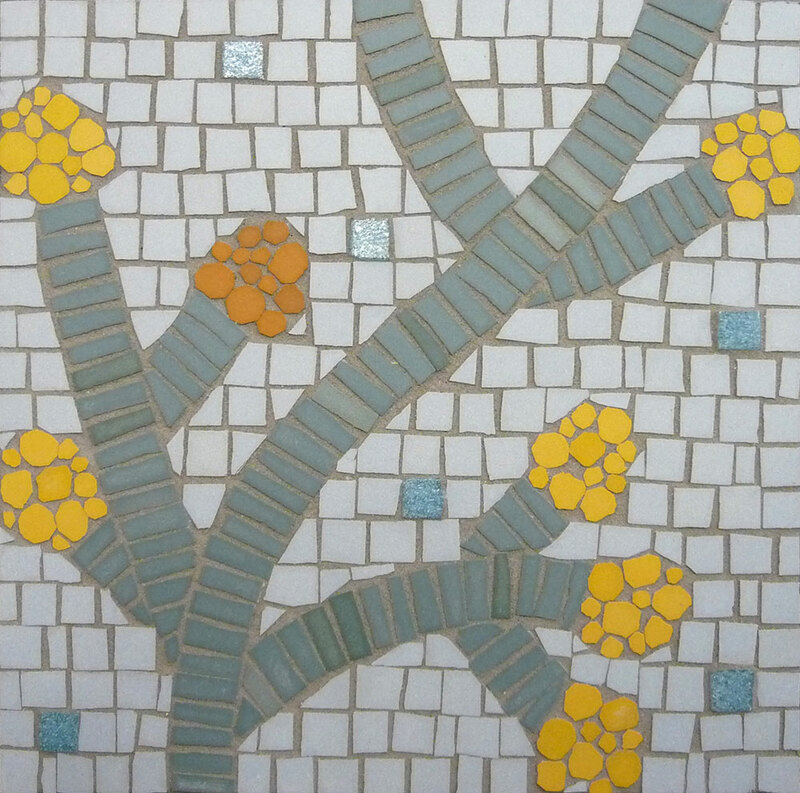 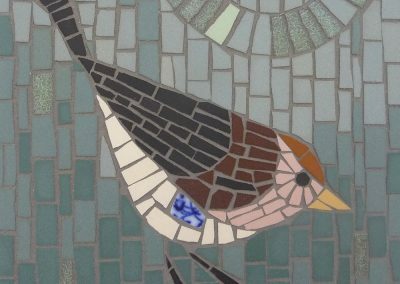 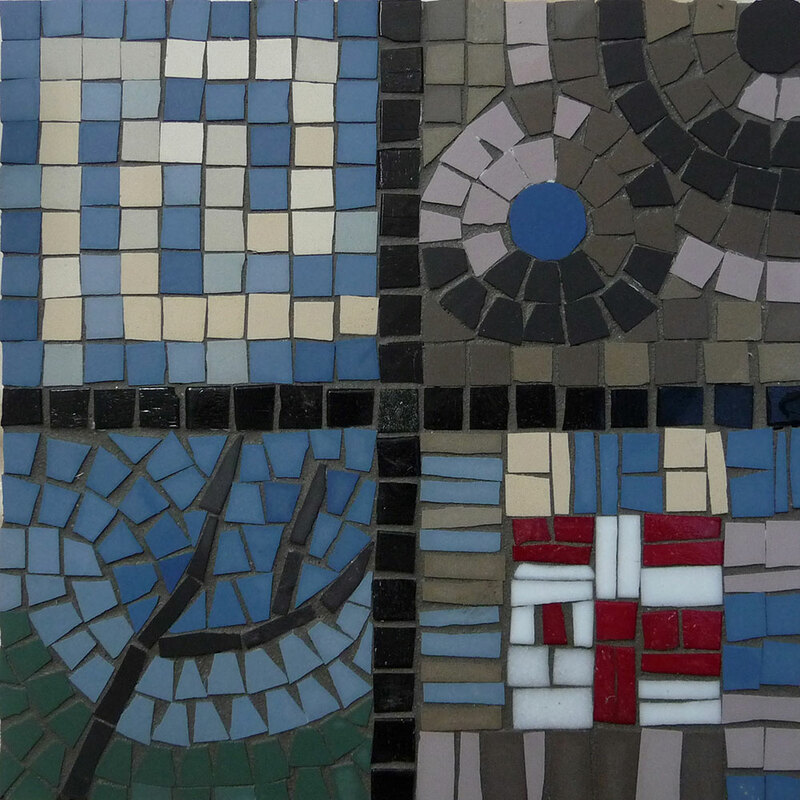 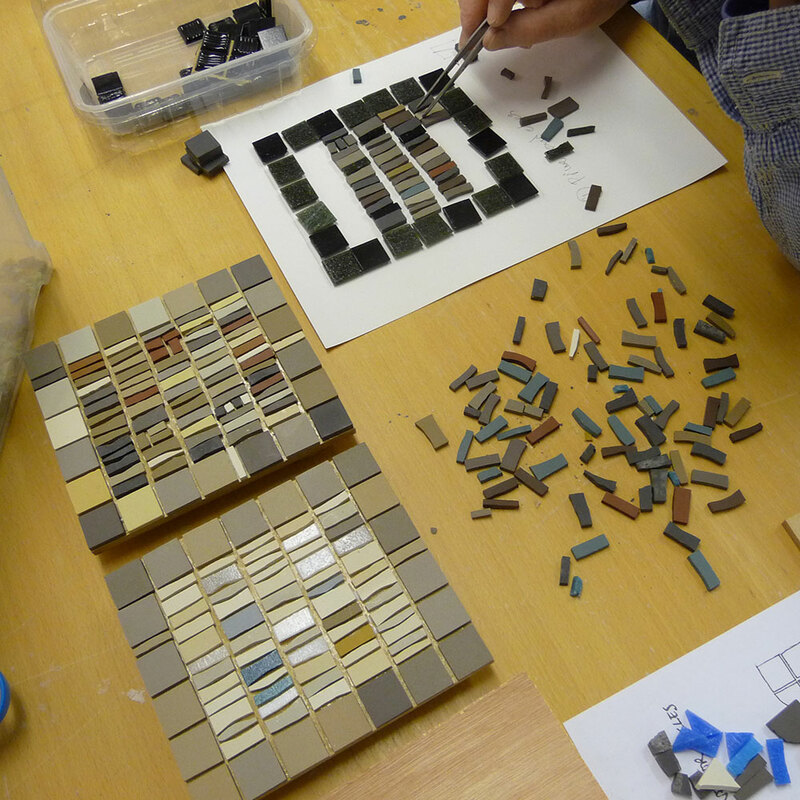 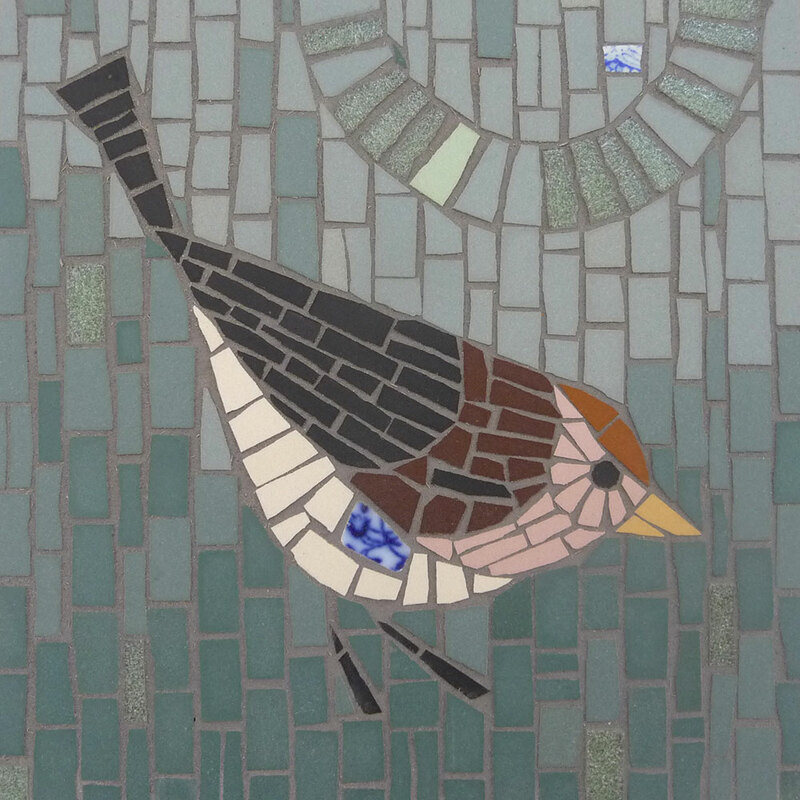 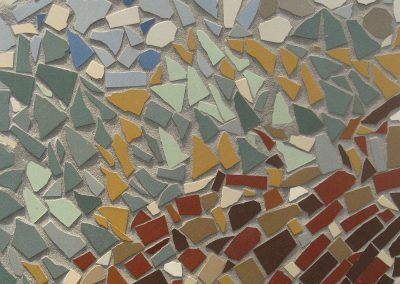 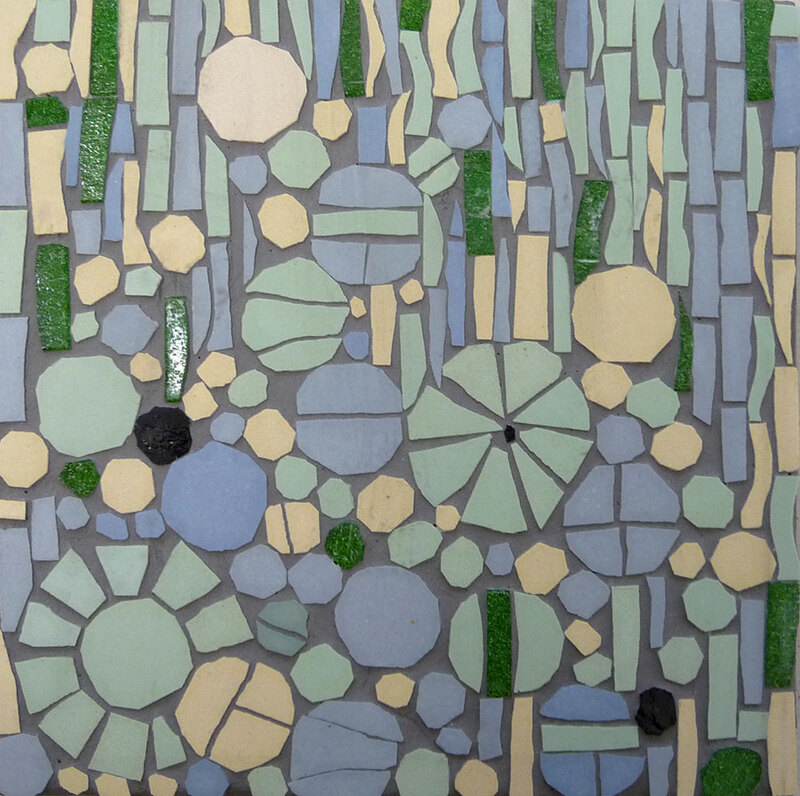 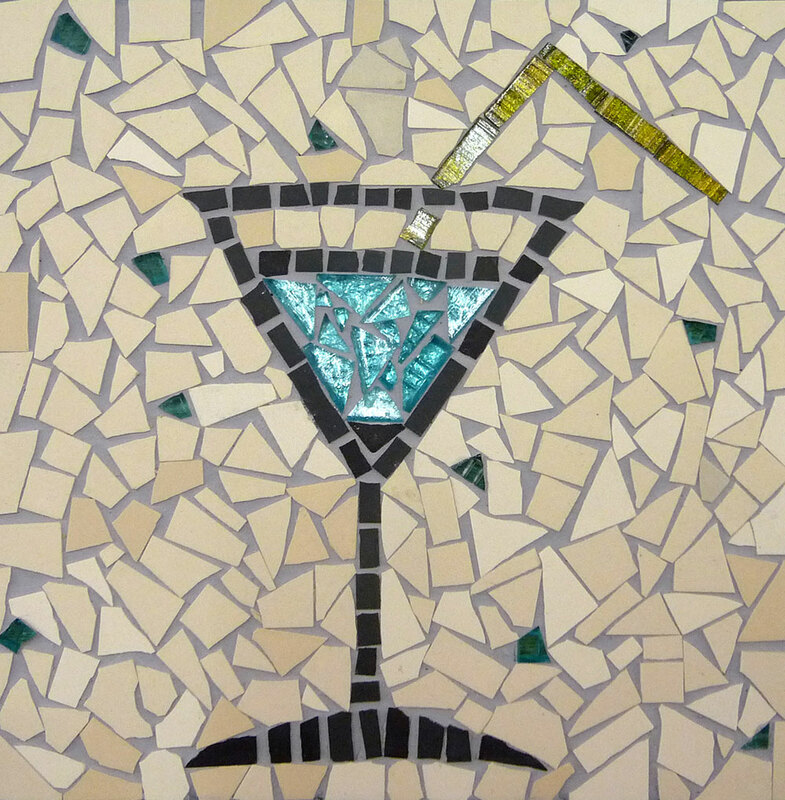 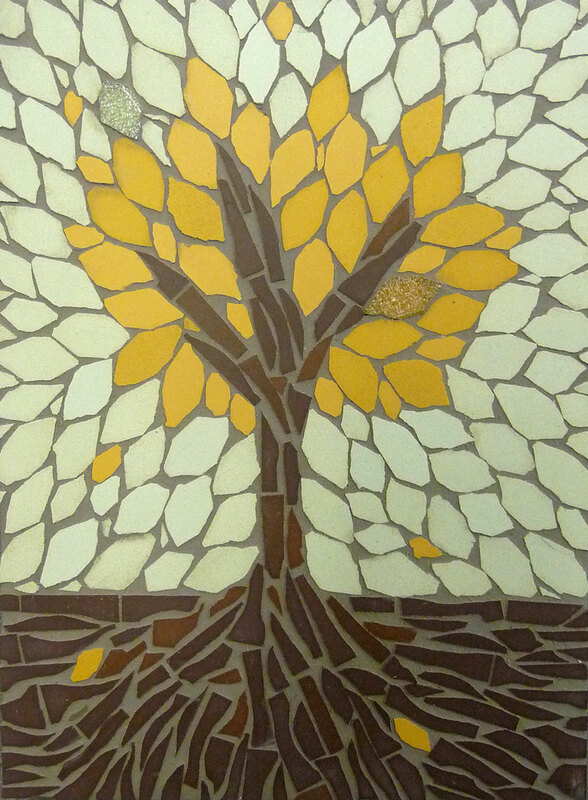 Students will work through a number of exercises leading on to the creation of small individual mosaic – please bring some design inspiration ideas with you, be prepared to alter designs as you become aware of the techniques and processes involved. 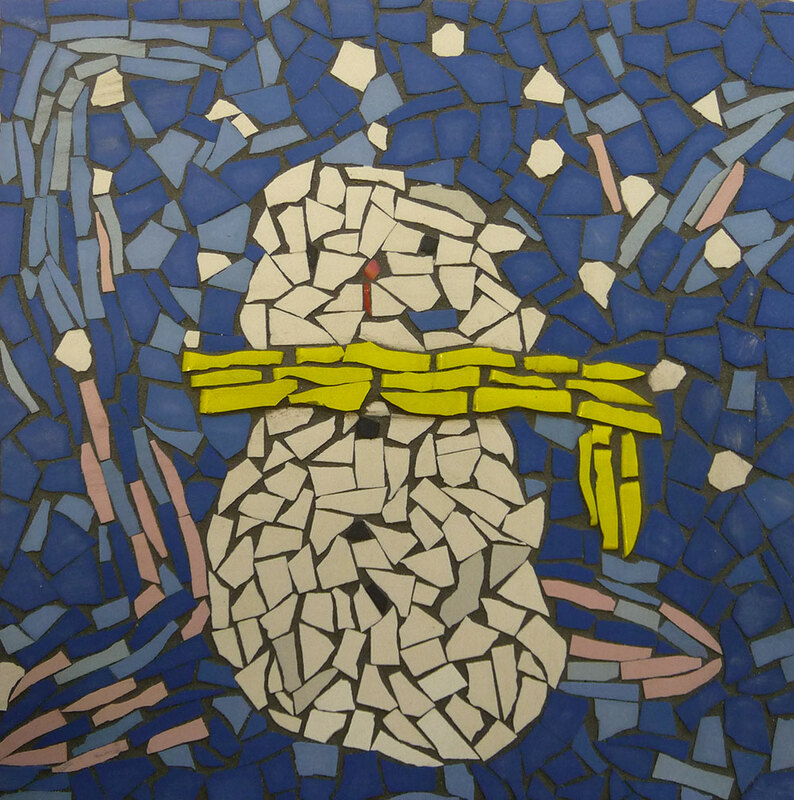 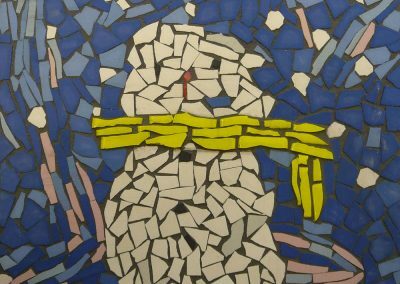 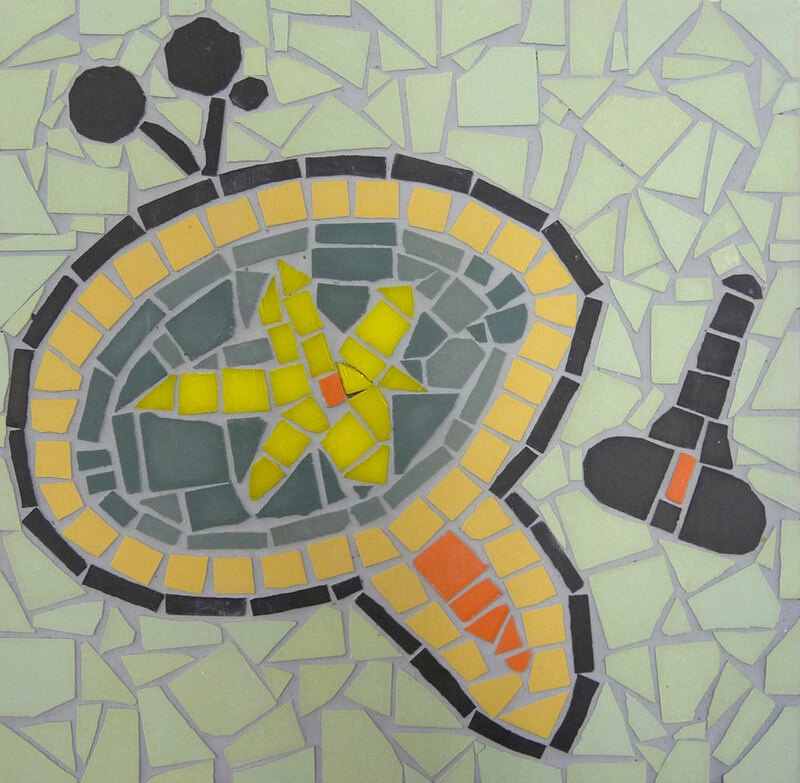 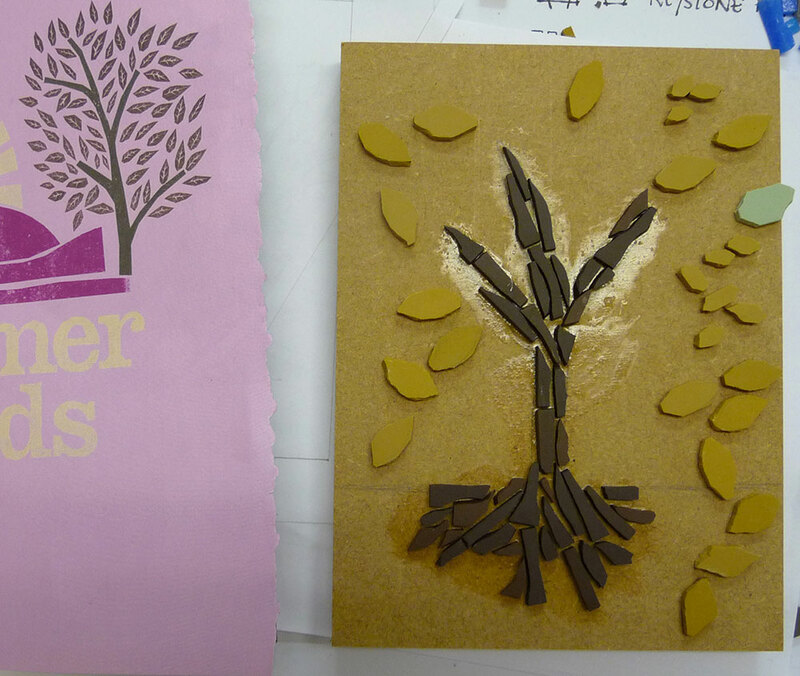 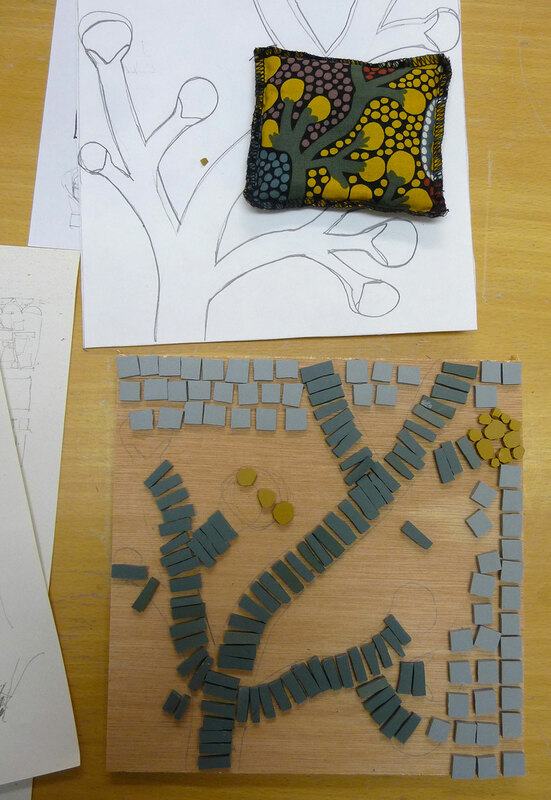 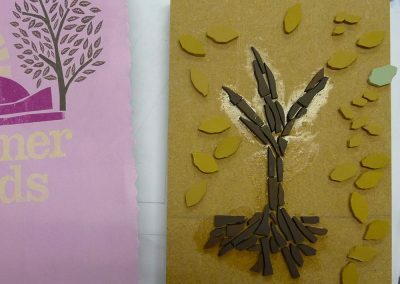 Some students benefit from using the time to experiment freely and create a number of ‘sketchbook’ sample mosaics rather than focusing on one design. 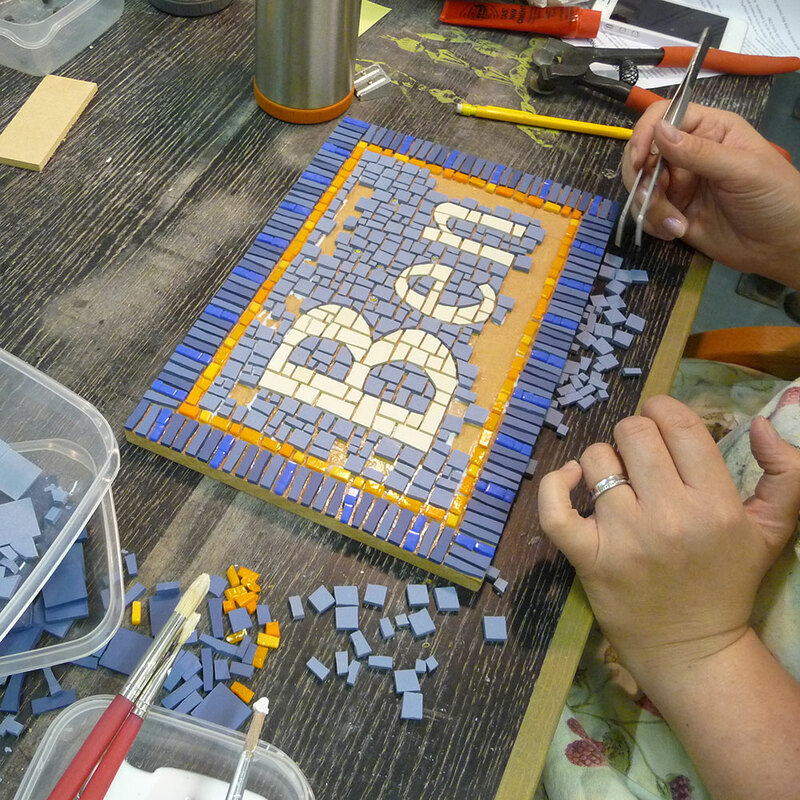 Supports vary in size (approx 200x200mm / 160x240mm) – plus lots of small supports for sample pieces. 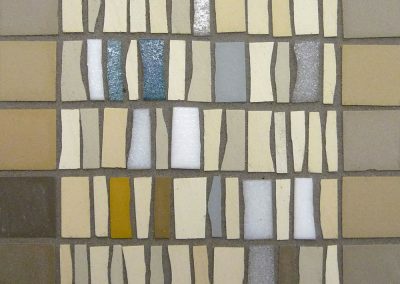 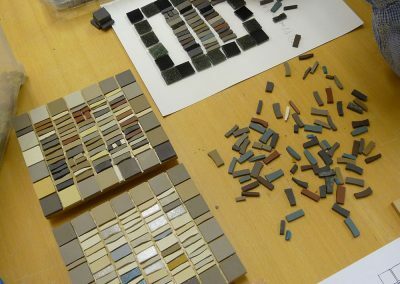 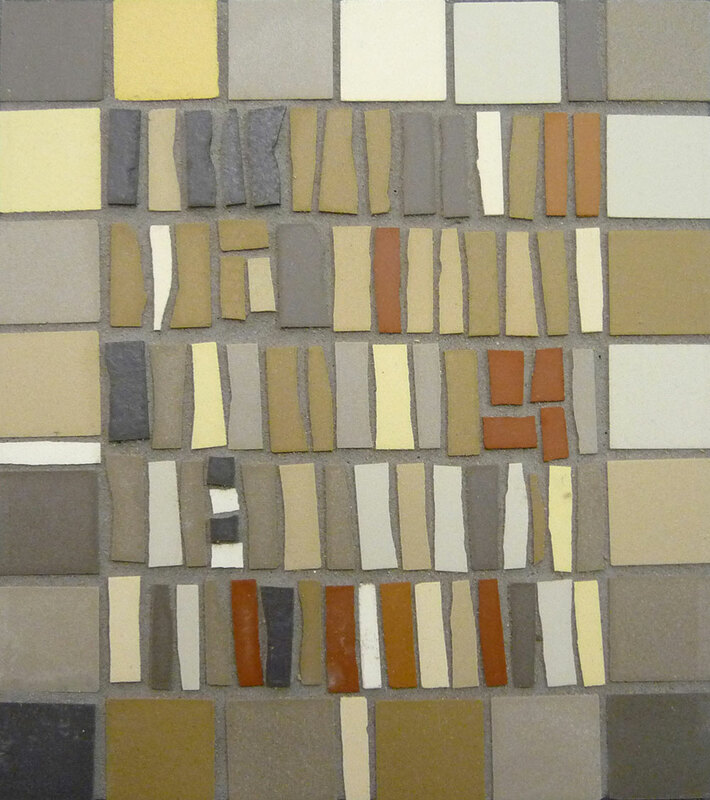 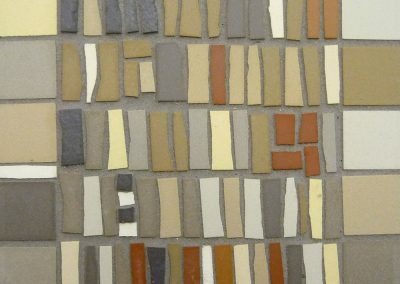 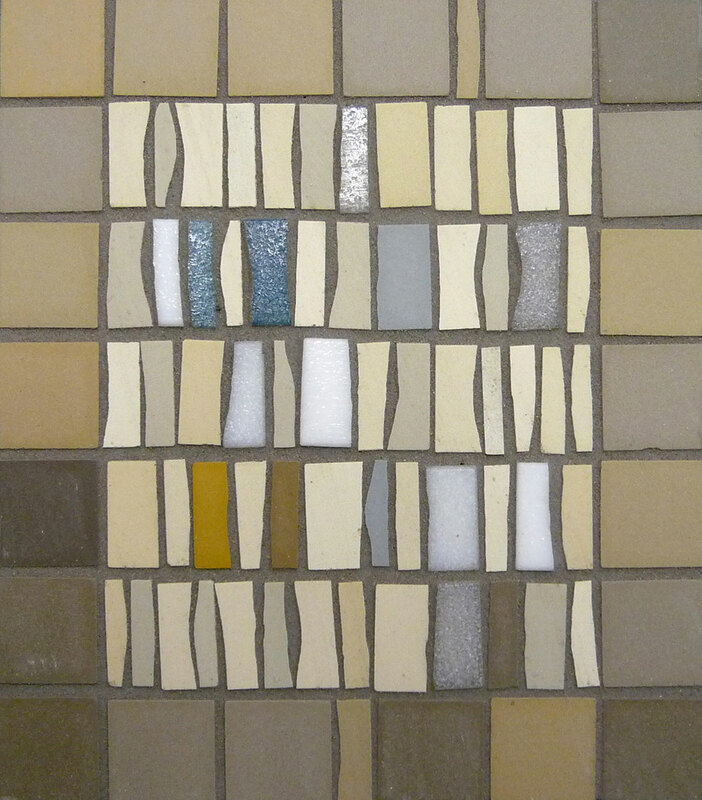 Materials (unglazed porcelain mosaic tesserae – easy to cut earthy tones – and some brighter vitreous glass mosaic) and equipment will be provided, however as a means to extend your work during the workshop a more specialist range of materials will be available to buy from stock, should you wish. 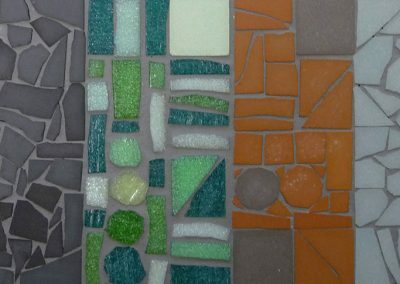 These range in price but don’t have to cost a lot, an average spend is approx £5. 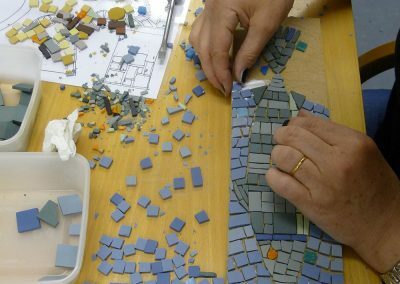 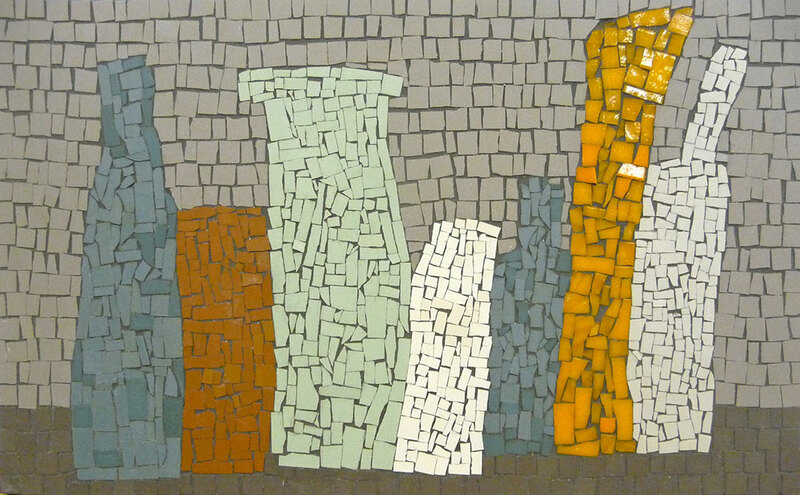 Many students come to their first mosaic workshop through having collected shards of broken / sea-worn pottery, glass etc. 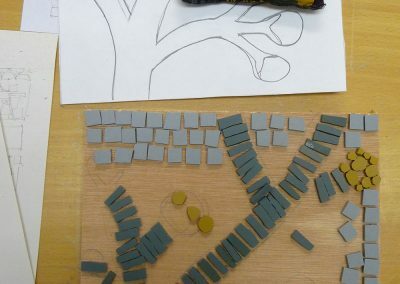 If you have materials that you would like to bring, to experiment, with please do so. 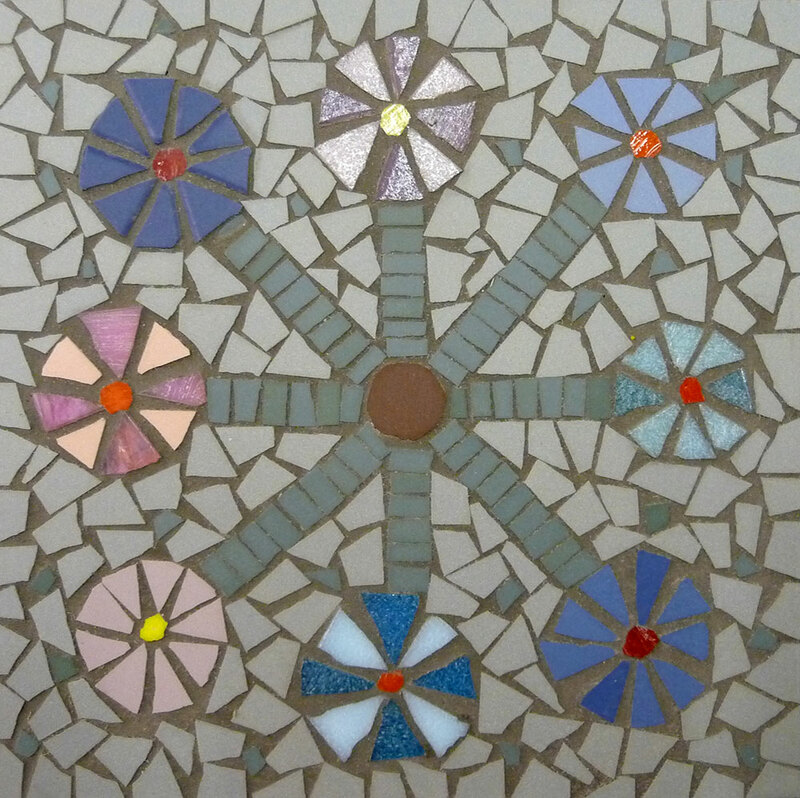 I would be happy to incorporate working with found materials into the weekend schedule. 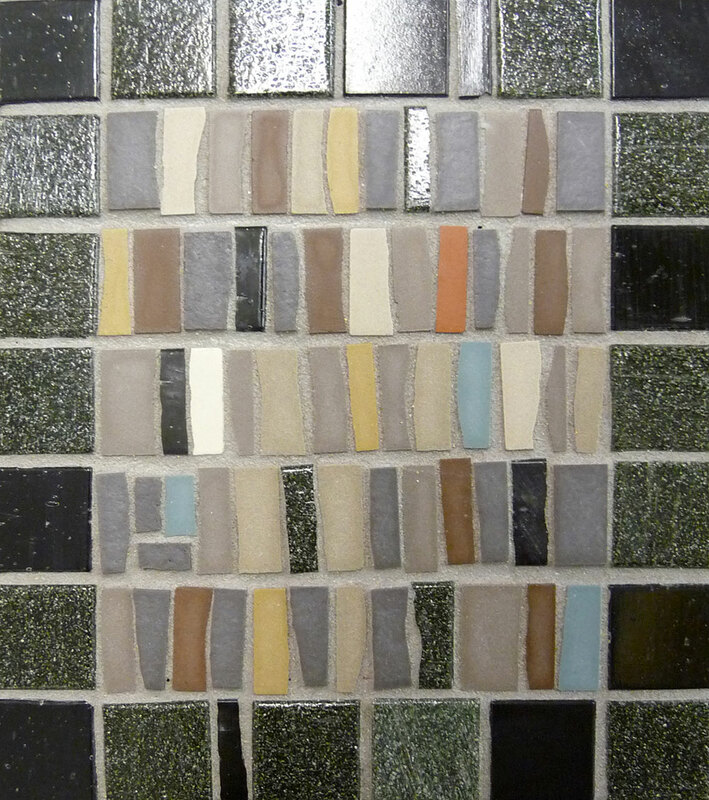 A small collection of mosaic books is available for use at the studio. 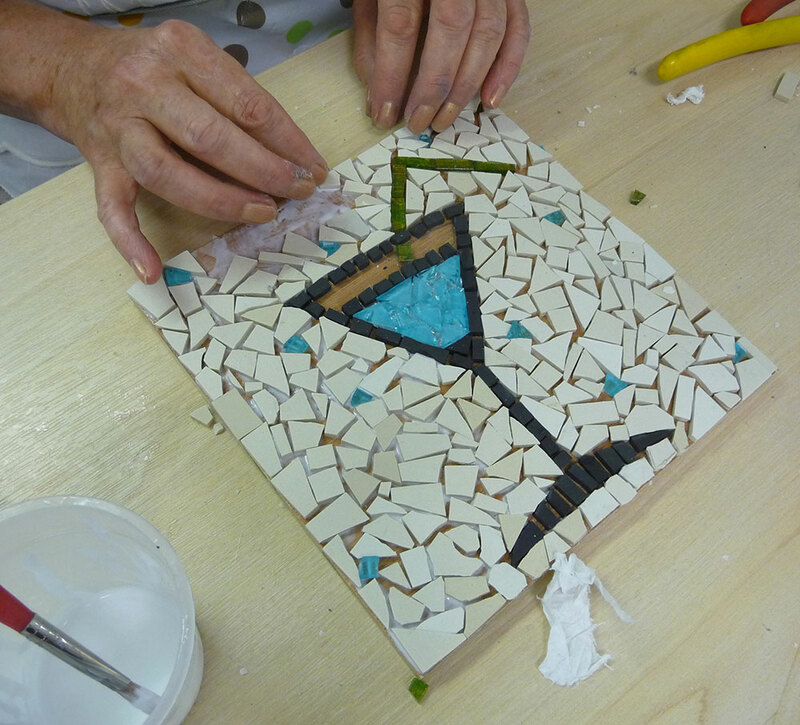 For further information and bookings please contact Joanna direct.